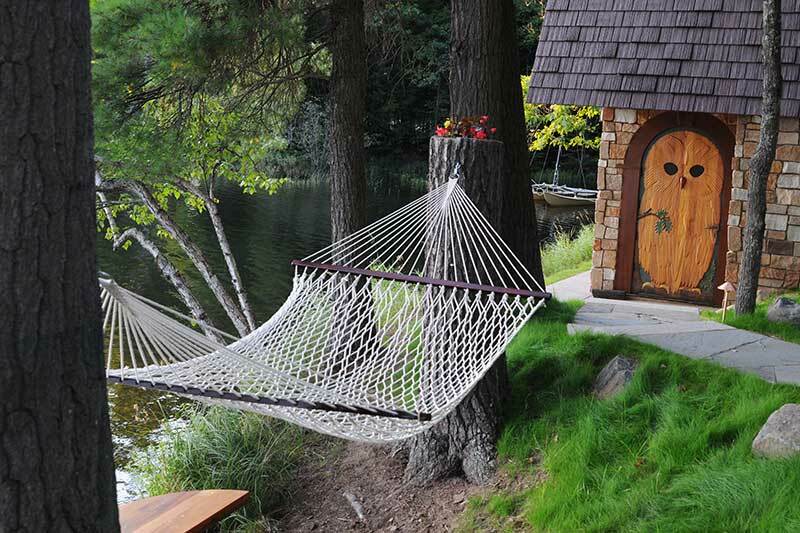 Nestled in the pristine beauty of the north woods of Wisconsin is the natural landscape of majestic trees, clear spring fed lakes, fascinating wildlife and exhilarating outdoor recreational activities. It is inviting to many families, friends and couples throughout the year. 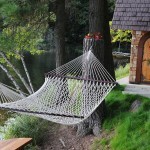 The lakes in particular provide for an enormous amount of fun and relaxation. 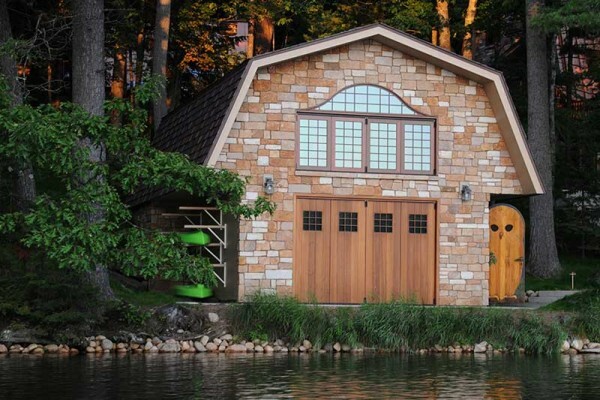 For those so fortunate to have a property, it is customary to have a boathouse to store swimming or boating gear and equipment. Recently Parrett was selected to provide windows and doors for a new boathouse and replacement windows and doors for an existing home. 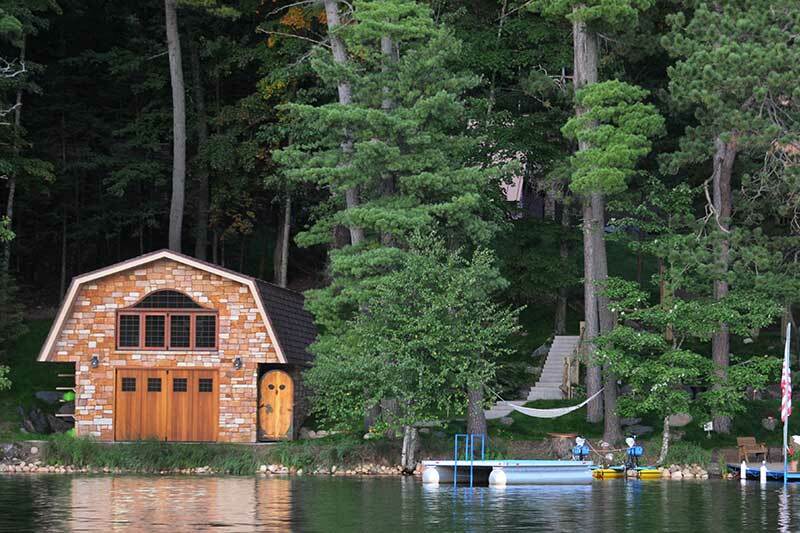 The boathouse windows consisted of folding windows and doors allowing for opening the windows the complete 10 foot expanse. These same doors were backed by a full length horizontal pulled screen. 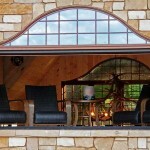 The folding window system was set on the second level loft designed as an elevated viewing area of the lake. 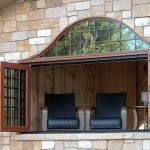 Mulled directly to the top of the folding window was a Napoleon shaped direct set. 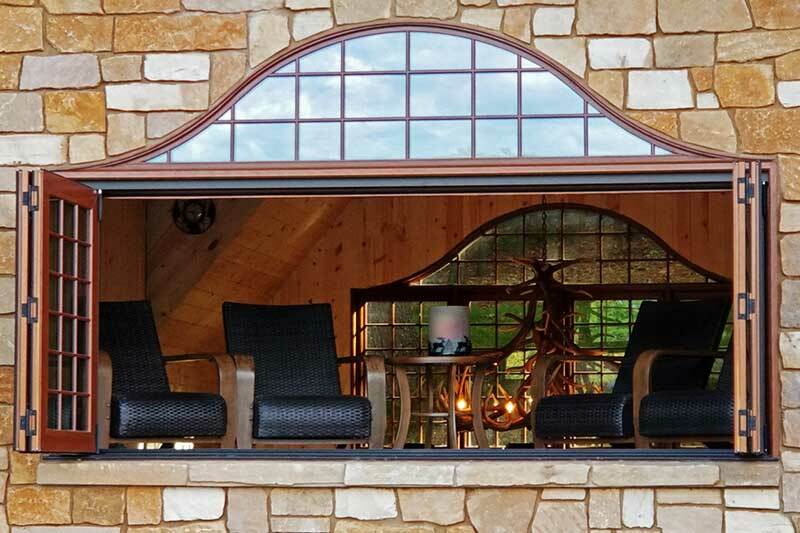 On the opposite side of the second level was a window system matching the shape of the lakeside window system. The upper mulled window was a duplicate of the window on the lake side however the window below consisted of four awning windows. 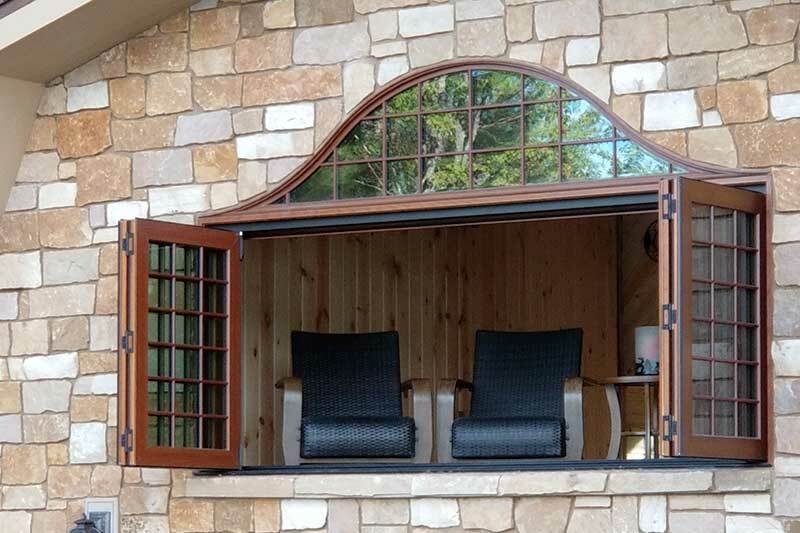 Due to the awnings being elevated from the lower floor and not easily accessible, the windows were set up with individual electronic motors for operation which can be operated by either a switch or a remote control. 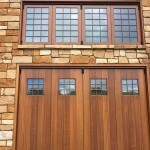 The system allows for operating all of the windows at once or individually. 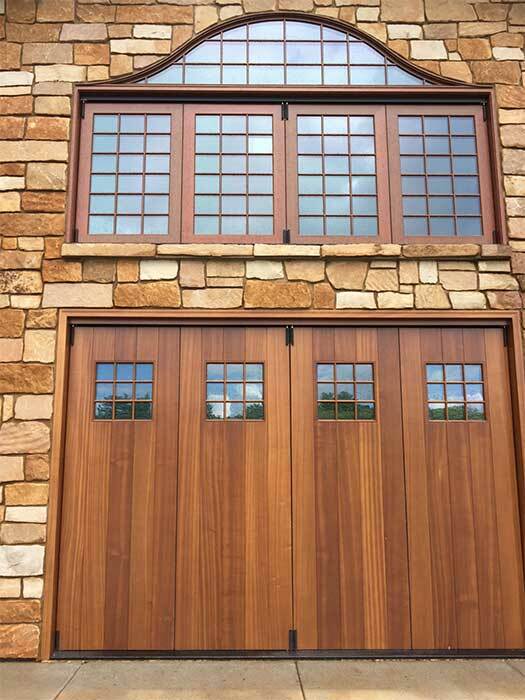 The windows were made out of solid mahogany to the interior and a high performance woodgrain aluminum clad to the exterior. 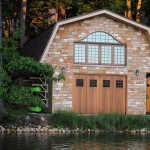 The lower boathouse door is a four panel solid mahogany plank style folding door system with a horizontal pull screen. 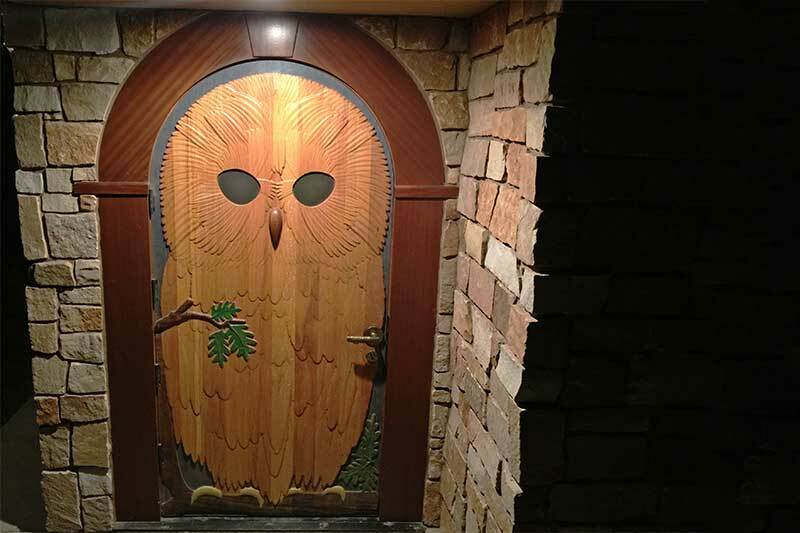 Greeting anyone entering the boathouse is a custom designed entry door which has a carved pattern to the exterior emulating an owl. 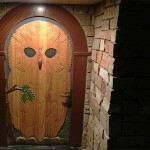 The owl door was made out of solid white oak and bordered with a 10 inch wide flat casing with a 12 inch keystone and plinth blocks located on top. Parrett was proud to be part of this fun, picturesque and very functional project.